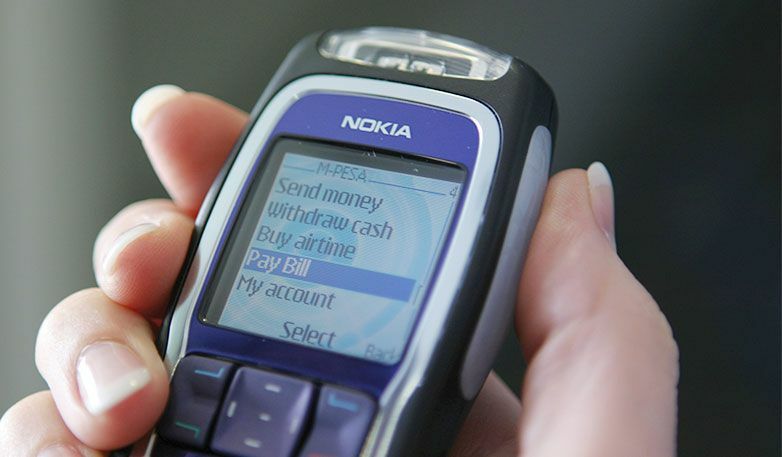 M-PESA was initially launched by Vodafone in Kenya in March 2007, providing a simple yet highly secure platform from which to send and receive payments. Vodafone’s vision for this service combined existing SMS technology with the extraordinary growth in mobile phone ownership. Today M-PESA is a fully commercial service with over 10 million users across Kenya, Tanzania, Afghanistan and India. Vodafone realized that mobile phones had the potential to deliver money in a fast, secure and low-cost way and that global growth of mobile phone use was phenomenal. Marrying the two could bring basic financial services to the ‘unbanked’; using their mobile phones, individuals could safely send money, purchase goods and services, and operate their businesses more efficiently. It would also help overcome the growing problem of theft, experienced by many forced to carry large sums of money, such as travelers or migrant workers. An alternative means of moving money was a clear and desperate need. When delivered, this would be a highly innovative breakthrough for Vodafone in a market adjacent to its core telecommunication activity, and a partner was required for its delivery. The concept was awarded £1 million by the UK’s Department for International Development, a sum matched by Vodafone. Sagentia tendered and was selected as the technology partner to oversee the development of the user application which would sit within the mobile phone, the communications software sitting within the network, and the centrally hosted account management system. Importantly, user requirements had to be clearly understood and the software had to be secure, robust and factory ready for roll-out once the Pilot was successfully concluded. The system also had to be extremely cost-effective as the sums of money transferred could be as little as 100 Kenyan Shillings (75 pence). Sagentia worked with Vodafone throughout the development phase of both the pilots and the full roll out. This included running extensive market needs analysis for potential users and stakeholders and extensive prototyping so that the service and user interface would be accepted. Throughout Sagentia used innovative approaches to help solve the myriad of challenges faced in deploying an audited financial service into a mobile network operating into emerging markets. Since its initial launch, M-PESA continues to generate headlines around the world. The system has been rolled out in Afghanistan, Tanzania, and initially in India. Sagentia’s involvement allowed Vodafone to turn its vision into reality and in doing so creating a real ‘disruptor’ – a technology that is having a major impact on traditional money transfer services – and also a product/service that makes a real difference to people’s lives.